I love that dress for work...cute and appropriate. Cute shoes and I really like the headband in the second photo! That's a pretty awesome collar! I love a lot of things about this outfit! I love how you did your belt...love those shoes...and love the dress! So cute! Ooh, your shoes in the first photo are adorable! And I love the almost-rockabilly vibe of the second outfit. That collar is fantastic. It adds such interest to an otherwise simple dress. Such a cute sailoresque dress! Teehee, hugging novelty-size things are cute. Especially if they're alcoholic beverages, yay! But.. Miller Lite? Why?? D: Oh just kidding. Still adorable. I love the collar on that dress! And the gray pairs really well with those adorable yellow shoes! I love the grey dress with yellow shoes. Perfect! Anything that is unnecessarily oversize or miniature is okay in my book. beautful and charming collar. i'm a huge fan of interesting collars too. your dress looks high end and classy. that was $15 well spent. nice! 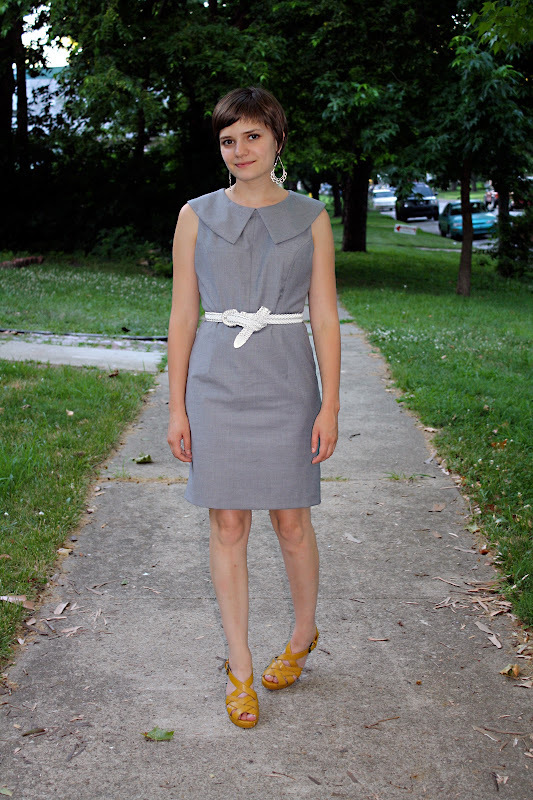 work-appropriate dresses are the best -- no fuss outfits in a jiffy! You look really good in your jeans and brogues! what a gorgeous dress (I like the round collar and the color), especially paired with those shoes! love the earrings! the whole ensemble is stupendous. That look is so effortless and gorgeous. And again, the dress for $15...wow! Your looks really inspire me. 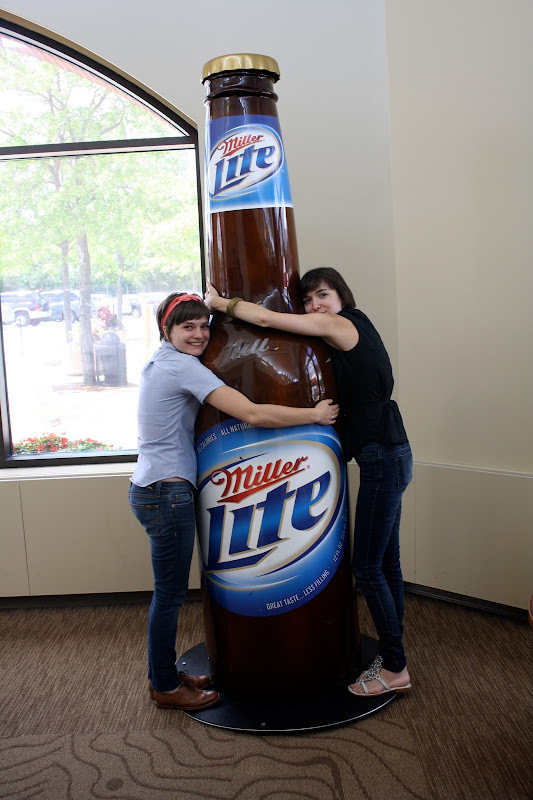 hugging a giant bottle of beer sounds fantastic right now, it's 100 degrees here! your outfit is so cute as usual, I love the collar! The mustard with the grey looks great! I had a heated discussion about Miller with a bartender. Now it makes me chuckle whenever I see it.